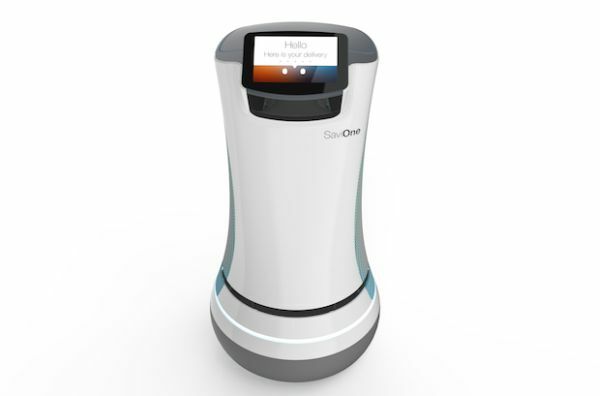 Last year we talked about James, the new Barman and now we would be witnessing a robot butler developed by Savioke (pronounced “savvy oak”) entering the hospitality industry to maximize customers’ experience. 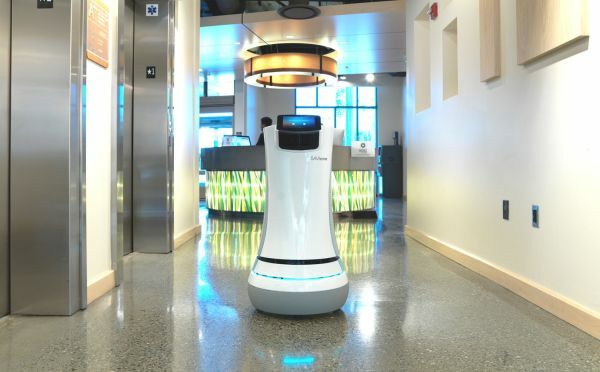 As of August 20, Savioke’s first delivery robot (Botlr) nicknamed as A.L.O by the hotel, will be seen operating in hotel Aloft in Cupertino, California. In its pilot program, ROS powered autonomous robot, Botlr will be assisting hotel staff in delivering amenities such as mobile charger, towels, brush or even snacks, to the guest’s room and thus saving staff time for other important work. The butler robot dressed up in a vinyl wrap with a bow-tie, weighs 100 lbs and stand nearly 3 feet tall with a storage capacity of 2 cubic feet. Connected wirelessly with the hotel elevators, it moves on four wheels, traversing efficiently and independently between floors at a speed similar to the human walking pace, delivering goods from one corner of the hotel to the guest room. Hotel staff input the room number for the delivery on the robot touch pad. When A.L.O carrying required item reaches the assigned guest’s room, it makes a phone call to let the guest know about its arrival at the door. The sensors and cameras installed help the robot to know when the door is to be opened and subsequently unlocks its storage bin’s lid for the delivery of the item. The touch pad displays instruction for the guest to collect its item and close the lid, after which the robot heads back to the front desk and plugs itself for recharging. The guests who happen to get assistance from the robot, are asked to rate its service on the touch pad. No tip required in return, rather tweets and selfies at #meetbotlr are welcomed. Robot upon receiving high ratings often expresses its gratitude with a small dance. If this pilot program receives overwhelming response from the guests, Starwood Hotels and Resorts, the parent company of Aloft Hotels plans to employ these robots in their other hotels by next year. But the question arises, will this robot will downsize humanitarian staff in the hotels? CEO Steve Cousin says that Savioke aims to develop robots that can help individuals with disabilities. The robot in hotels will give staff members to build a better-personalized relationship with the customers, rather than rushing to deliver product to individual rooms, which is often tedious. Nevertheless, its impact on the jobs of staff can be only seen in the future. Right now, you can pack your bag and book a room in Aloft hotel to get firsthand experience of the service breakthrough provided by Botlr. In coming years, we may see more innovative bots from Savioke not just restricted to hotels, but hospitals, elder care facilities, restaurants and offices will also find specialized helping robots as per requirements.